Hello, I’m Gretta Schifano, an award-winning blogger, freelance journalist and social media manager. I write mainly about family travel with teenagers, 50+ travel, and trips when parents leave the kids behind. I also write about vegetarian travel, adoption, SEN, education, parenting teenagers, ADHD and anxiety. I live with my Italian Londoner husband (hence our surname), our kids and our whippet in rural South-East England. Our eldest is now studying at Uni, but she’s at home during the holidays, and she occasionally writes blog posts for this site from her travels. I’ve lived and worked in Italy and Spain as an English teacher. I’ve been vegetarian for about thirty years, and my favourite food is chocolate. (Apart from my family and friends, and chocolate, obviously). I love visiting new places and learning new things. I enjoy finding out about the people, culture and history of a destination – UNESCO World Heritage sites thrill me. But travelling with my family is all about compromise, and I’m happy at a water park or touring a football stadium or browsing make-up counters and clothes shops, if that’s what my kids want to do when we’re away. I also love blogging, Lonely Planet guides, National Geographic magazine and kindness. I write both on this blog and for other websites and publications. I look for and write about about interesting experiences and trips which are great for both parents and kids, and for high quality places to stay where you can really relax. My perspective is as a parent of teenagers (mine are 20 and 16 years-old) but I keep an eye out for what’s on offer for younger kids too. We travel as a family during the UK school holidays and occasionally at weekends. I also travel without my kids, when I can fit it in, and I write about that too. I also help people with their social media. I’m part of The Family Travel Collective – a network of five of the UK’s top family travel bloggers, working together on everything from social media campaigns to trips and destination guides. Winner of the 2016 Digital Mums Women in Marketing Award for Best Social Media Campaign (you can watch a video about the WIM Awards below). Finalist in the 2016 Family Traveller Awards for Best Family Travel Blogger. Winner of the 2014 BritMums BIB award for the Best Travel Blog. Judge for the 2016 BritMums BIB Best Travel Blog. Cision UK Top 10 Family Travel Blog. 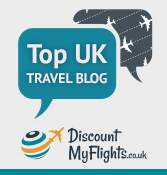 TOTS 100 top UK family travel blog. One of Trivago’s Top 16 Travel Bloggers to watch in 2016. 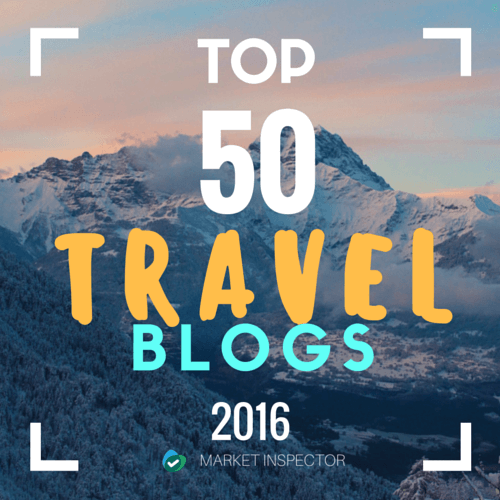 Top 50 Travel Blogger 2016 according to Market Inspector. Holiday Lettings Top 20 Family Travel Blog 2015. Finalist, travel category, 2014 & 2013 Parentdish MAD blog awards for UK parent blogs. Finalist, 2015 and 2013 BritMums BIB award for the Best Travel Blog. Member of the Professional Travel Bloggers Association. Member of the Mumsnet bloggers network. 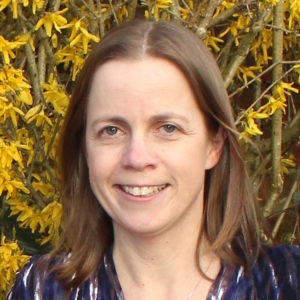 Founder member of Family Travel Perspective, a group of leading family travel bloggers. I work with brands such as Holiday Extras, James Villas, Sovereign, the Costa Brava Tourist Board, KLM, MSC Cruises, Visit Wales, Dutch Tourist Board, Tirol Tourist Board, Normandy Tourist Board, Crystal and Skoda. I’ve been commissioned to write features for publications including National Geographic Traveller, Financial Times, Lonely Planet, Guardian, The Independent, Jewish Chronicle, Adoption Today and others. I have a degree in Italian and English, I’m a qualified Social Media Manager and NCTJ journalist and previously worked as a radio producer at the BBC. I’m an adoptive and birth parent and I don’t use my kids’ real names in my writing. If you’d like to work with me then please email: gretta at mumsdotravel dot com. This is a personal blog written and edited by me, Gretta Schifano. For questions about this blog, please contact me at gretta at mumsdotravel dot com. Sometimes I’m given products or sent on trips to review, but I always make this clear and give my honest opinion in my writing. Where I’ve received payment, hospitality or products, I make this clear in any relevant posts and use ‘no-follow’ links. The ASA shares information and guidance on disclosure for bloggers and brands here. I accept forms of cash advertising, sponsorship, paid insertions, affiliate links or other forms of compensation for this blog. The compensation received may influence the choice of content of this blog but I will always give my honest opinion of whatever I’m writing about. Content will be clearly identified as paid or sponsored content if it is. The views and opinions expressed on this blog are purely my own. Any product claim, price, statistic, quote or other representation about a product or service should be verified with the manufacturer, provider or party in question. This blog does not contain any content which might present a conflict of interest. Personal information that you submit through this website will only be used for its intended purpose (for example, to respond to an enquiry), and won’t be used for any other purpose without your consent. It will never be passed it on to any third party without your consent, unless it is a legal requirement to do so. Mums do travel is committed to ensuring that your privacy is protected. If you provide identifying information when using this website, it will only be used in accordance with this privacy statement. The owner of Mums do travel may change this policy from time to time by updating this page. This policy is effective from 1st January 2012. You can check this page at any time to ensure that you are happy with any changes. You can restrict the collection or use of your personal information by turning off ‘cookies’ in your web browser. If you believe that any information that Mums do travel has about you is incorrect or incomplete, please get in touch as soon as possible using the contact form on the website or by email to gretta @ mumsdotravel.com. Any information which is found to be incorrect will be promptly corrected.